Insurance can be a confusing topic for medical patients. It may be the last thing they want to think about when considering a dental procedure, but it’s highly important because of the impact it has on their wallets. Our video Why Doesn’t My Insurance Pay for This? makes understanding insurance easy, explaining in detail how dental benefit plans share costs with the patient. The video also reinforces a crucial point: Treatments should be determined by the patient and dentist, not the insurance company. 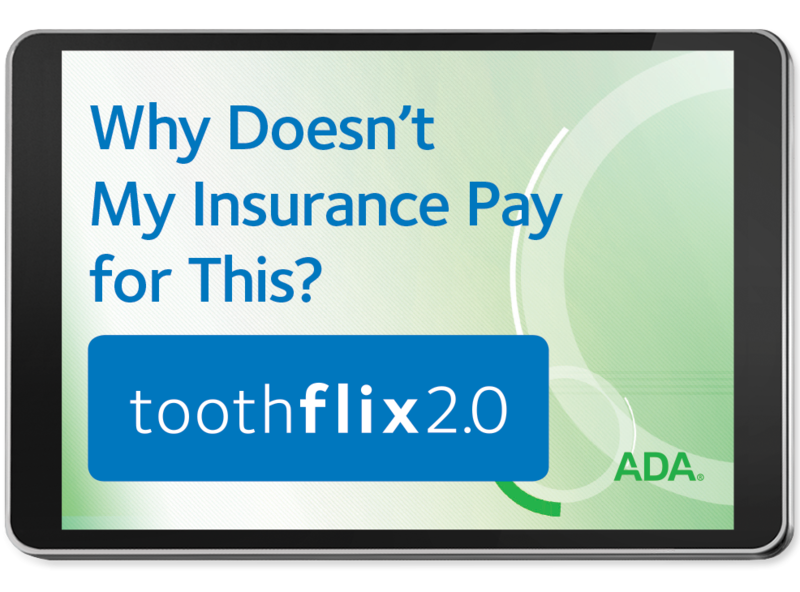 Educate your patients about dental insurance with this Toothflix® 2.0 video. It provides a firm understanding of cost-sharing, focusing on plan limits, annual maximums, and more. As they look to make a decision whether to undergo a major procedure, you don’t want their financial worries to overwhelm the conversation. While clarity on insurance helps, this video is a helpful reminder that with treatment decisions, patients should put their health first. Each Toothflix video you purchase is instantly accessible through your online ADA e-bookshelf. To learn more about the Toothflix video series, visit ADA.org/toothflix. Get your copy of Why Doesn’t My Insurance Pay for This? – Toothflix® 2.0 streaming video today!